Check out my conversation with Jesse Miller in Full Stop about my analysis of the conjunction illness-thought-activism in my book Indirect Action and in relation to the present moment. Here’s an excerpt. The full interview can be found here. Jesse Miller: Since Trump was elected healthcare issues have been very visibly part of the political agenda. I’m thinking about things like the threats to funding and access to Planned Parenthood and attempts to repeal and replace the Affordable Care Act. And there have also been a range of responses to what you might call this “emergency time.” Things like calling senators, the women’s marches, the direct actions of disability activists associated with groups such as ADAPT. So thinking about your work as a history of the present, I’m wondering: in your research into the history of health activism what did you discover that you think is useful for understanding or responding to this moment? 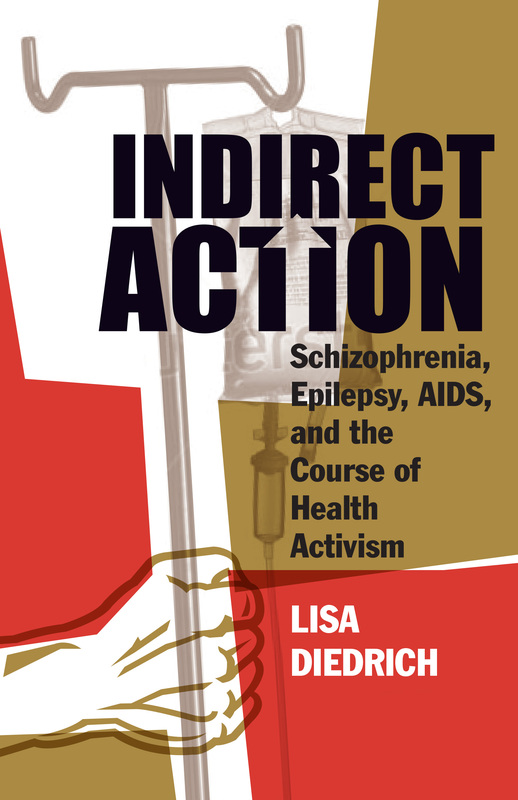 Lisa Diedrich: I definitely want people to read my book in relation to what’s going on right now because I’m not sure if everybody understands that illness and how we do illness is political. And the idea that the personal is political relates very much to illness politics. I think of illness politics as similar to and connected to and intersecting with sexual politics and racial politics and class politics. Disability activists are some of the people doing this work the best right now. Because they really understand that disability is central to almost everything that we do as a society. So essential to questions about healthcare but also central to questions about policing and prisons and war and education. It’s connected to almost anything. If you look at an issue through a disability lens it gives you a really important perspective. I just actually wrote something for a more general audience about illness politics and looking specifically at ADAPT and their work, and one of the things that I note is that I’ve seen some stuff on twitter that compares the direct actions of ADAPT to ACT UP. And so there’s a sense that ADAPT has been influenced by ACT UP. But of course ADAPT preceded ACT UP by at least 10 years. So this is precisely the kind of thing that I’m interested in, that we forget this longer history of ADAPT and of disability politics connecting back to an important movement that emerged in the late 60s and early 70s, the independent living movement. This basically was a movement for self-determination of disabled people. Gregg Bordowitz talks about how ACT UP was very interested in and influenced by these movements of self-determination. So there’s this link that would see direct connections between ADAPT and ACT UP. But with ADAPT actually being the precursor. And the fact that that’s not how we tell this story is again interesting because there’s a forgetting of the longer history of this kind of activism.